Chidinma Inspirations: Welcome To The Month Of November Beautiful People! 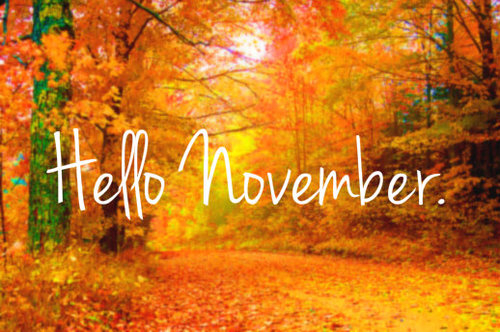 Welcome To The Month Of November Beautiful People! Hello Beautiful People! Welcome to the month of November! What is that thing you desire so much from life or that thing you've always wanted to accomplish/achieve in life? Put all your mind to it then hand it/them over to God. They might not happen immediately but be rest assured that gradually God will start making it/them become a reality. You can never invite God into something & you go back sad/disappointed. It'll happen not immediately but it'll surely happen with God on your side. Never ever compare your journey with others. Never ever compare your achievements in life with others. As long as you are not stagnant, in no time ALL your dreams will come true. It's all a matter of time. You didn't start well or you didn't start as you've hoped or desired doesn't mean that you won't finish well. Be faithful to God. Trust God and be diligent in all you do and watch how it all ends in praise. Amen. Ammen. Wish you same and more.